This morning we waved goodbye to Olivia, and sent her off on school camp. They are off to a beach resort in Malaysia for five days. I spent the last few weeks organising all the things on her packing list, and then sewing labels in all her clothes. A new, enormous Decathlon store opened up near us a couple of months ago, which made it much easier to buy new swimmers, UV t-shirts, wet shoes and other gear. Hooray for Decathlon. 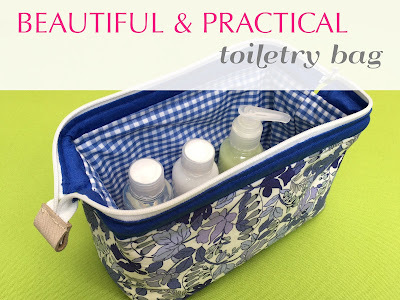 Absolutely ages ago a tutorial for this very cute toiletry bag appeared on my Pinterest feed. 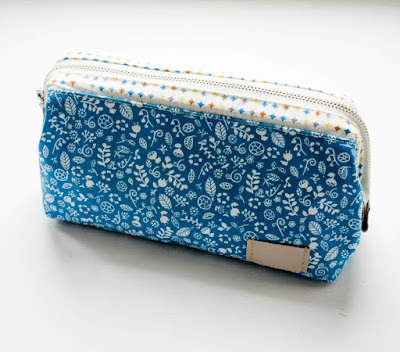 I asked Olivia if she would like me to make her a toiletry bag to take to camp. She was keen, so I started gathering supplies. I visited Sing Mui Heng in the Textile Centre and picked up a zip, some waterproof fabric for the lining and a two part frame for the opening. 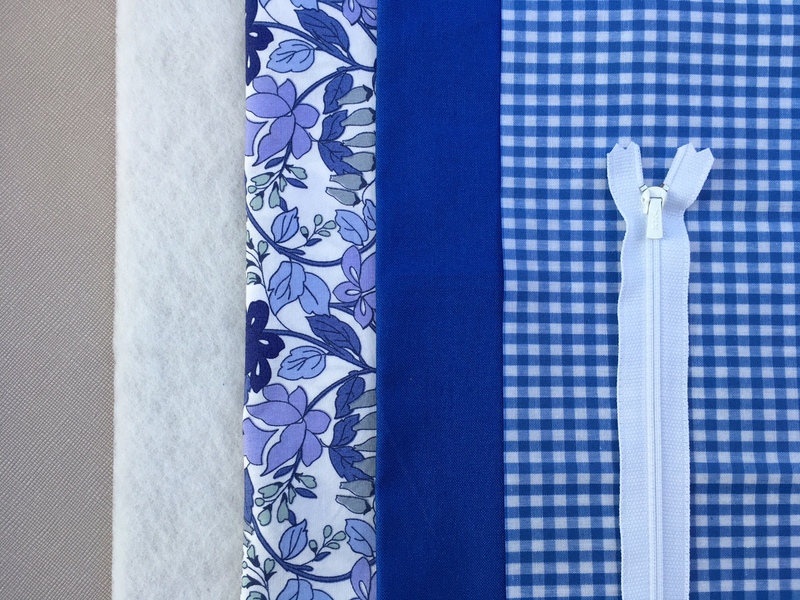 I already had a couple of nice cotton fabrics, fusible interfacing, fusible batting and leather scraps at home. A wire frame measuring 20x4cm is required, but I could only find a frame that was 20x7cm. I pulled the rubber stoppers of the ends of the frame, used wire cutters to shorten the ends and then put the stoppers back on. It worked perfectly. The measurements for the main piece of outer and lining fabric (31x33cm) is for the joined front and back pieces. 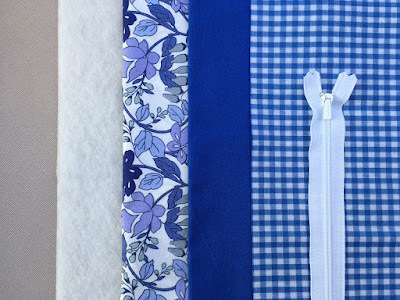 The measurements for the narrow strips that join the zipper to the main pouch, and hold the wire frame inside (31x12cm) is for all four strips. Each strip will measure 31x3cm once they are cut. 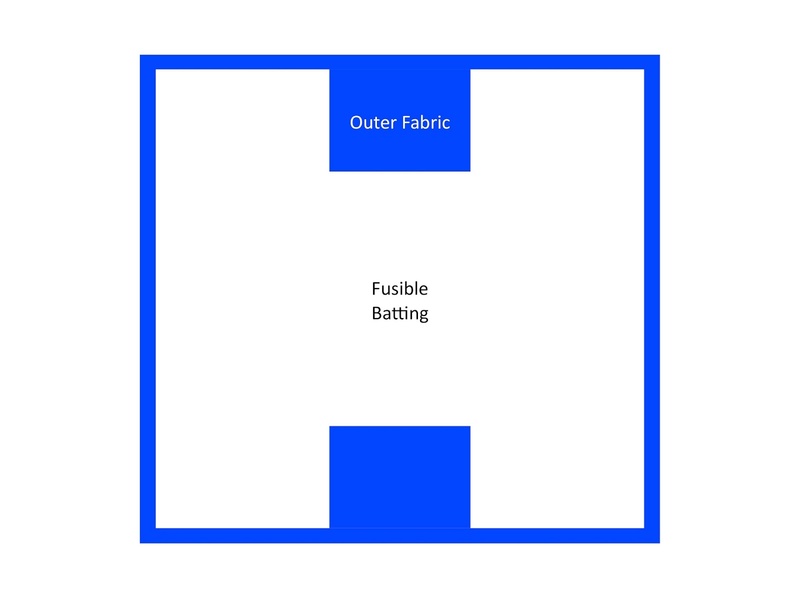 The pictures seem to show firm, fusible interfacing being used, but I used fusible batting on the outer layer of fabric. It really helped the bag hold it's shape, and I would totally recommend it. I would recommend cutting the the top edge of lining layer slightly shorter so that it doesn't bunch up inside the finished bag. I didn't do this, and it scrunches up in the corners. I hand stitched the small openings closed where the wire frame is inserted. This stops the wire frame poking out or moving around. I wanted to attach the leather ends to the zip using studs (like in the tutorial) but I didn't have the right studs. In the end I sewed them on by hand. My leather was quite thick and I needed to mark and punch the holes with an awl before I could sew them. The bag worked out brilliantly (apart from the slightly bunched up lining fabric). It looks so cute zipped up, and then the frame holds the shape perfectly when you open it. 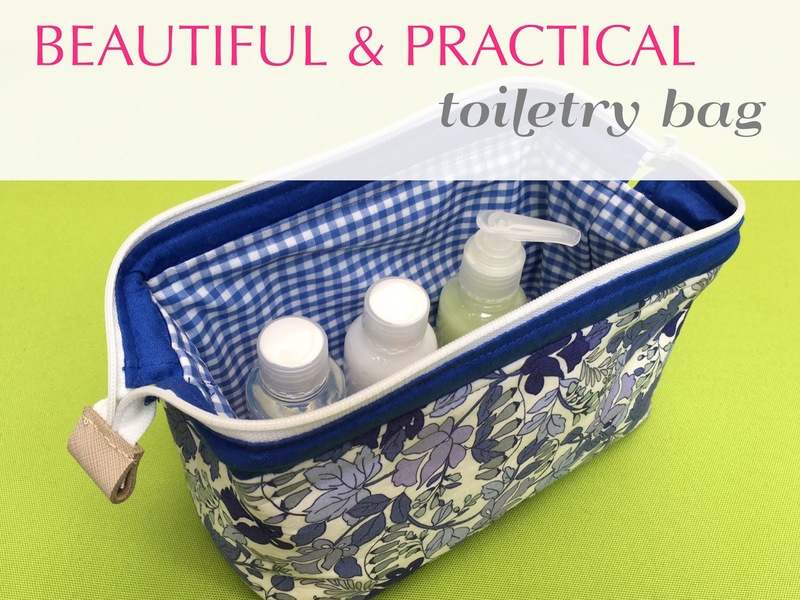 There is plenty of space inside for the travel toiletries. I even managed to put in a hairbrush, hair elastics and a few other items, without the bag being too full. This was a very quick and easy make, and I would definitely recommend giving it a go. Your bag is lovely. Would you share where you got the frame? HI Lois. I bought the frame at Sing Mui Heng in the Textile Centre in Singapore. I've seen shops on Etsy who sells them. You could try Lace Crafted or Gina Purse Frame.